The Olympic Games is without doubt the greatest showcase of sporting talent on Earth, and London 2012 was no exception. Between July 27th and August 12th this year, heroes were created and former greats fell in the 302 events in 26 different sports. This year, 32 world records were broken in eight of those sports, as the Olympic Games once again provided the platform for athletes to excel after four rigorous years of training and preparation. There were so many moments that left the millions of viewers worldwide astounded. There was Kenya’s David Rudisha (trained by Irish priest Brother Colm O’Connell) and his win in the men’s 800m final, in which he smashed the world record. In fact, the race was so fast that the athlete in last place would have won gold in any of the previous three Games. 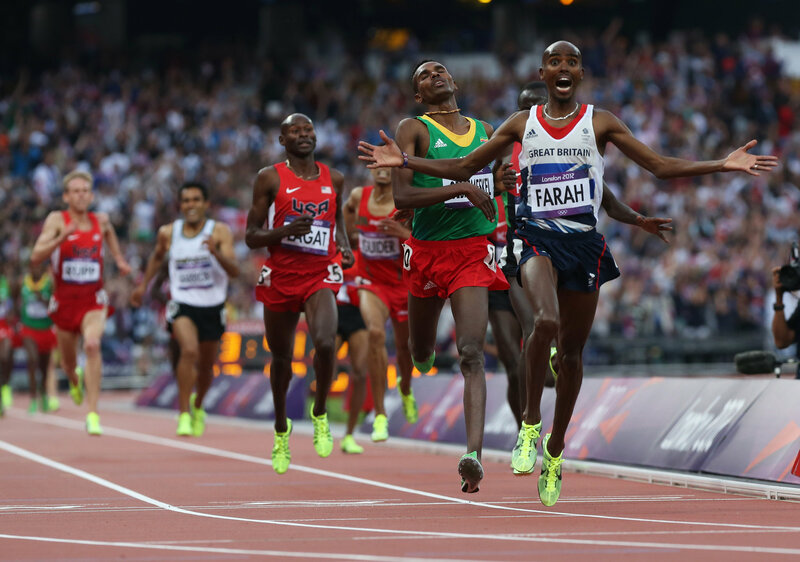 Mo Farah’s incredible 5,000m/10,000m double, and his now trademark ‘Mobot’ celebration delighted the British public. Poster-girl Jessica Ennis also captured the host nation’s imagination, as the Sheffield-born superstar lived up to the hype by winning gold in the gruelling two-day event known as the heptathlon. Jamaica, led by the personality that is Usain Bolt, dominated the men’s sprinting events as so many had predicted. They took a clean sweep in the 200m, while Bolt and Yohan Blake took gold and silver respectively in the 100m before the 4x100m relay team romped home in another world record time. Bolt was his usual entertaining self throughout the tournament, even being pictured with 3 Swedish handball players at 3am the night before his 200m heat. In the pool, Michael Phelps became the most decorated Olympic athlete of all time by winning his 22nd medal, while 15 year-old American Katie Ledecky stunned the world by winning gold in the women’s 800m freestyle. In the ring, women’s boxing became an Olympic event for the first time and Bray’s Katie Taylor, Ireland’s flag bearer at the opening ceremony, attracted media attention the world over as she won Ireland’s first gold in 16 years. Elsewhere for the Irish team, Paddy Barnes defended his bronze medal from Beijing in the light flyweight division. John Joe Nevin also won silver in the bantamweight division, and our other achievements included bronze medals for both Michael Conlan in the men’s flyweight and last minute Olympian Cian O’Connor in the individual jumping equestrian event. There were many other stand-out athletes from the Games, such as British cyclists Sir Chris Hoy, who dominated in the Velodrome once again, and Bradley Wiggins, who won the time trial event to add to his Tour de France win earlier in the year. Of course, the Olympic Games aren’t all about winning gold. There were moments of sportsmanship too, like when Grenadian Kirani James swapped name badges with the controversial Oscar Pistorius after the latter had finished last in a 400m semi-final. There were tears of joy and despair, moments of triumph and disappointment. London 2012 has inspired a generation and left many waiting anxiously and excitedly for Rio in 2016. These Olympic Games were not just a sporting highlight of 2012, but perhaps the greatest two weeks of sport in modern times.